Hello friends, thank you for stopping by! I am a professional Tribal Style Belly Dance artist, yoga and fitness instructor based in the San Francisco, San Jose Bay Area. 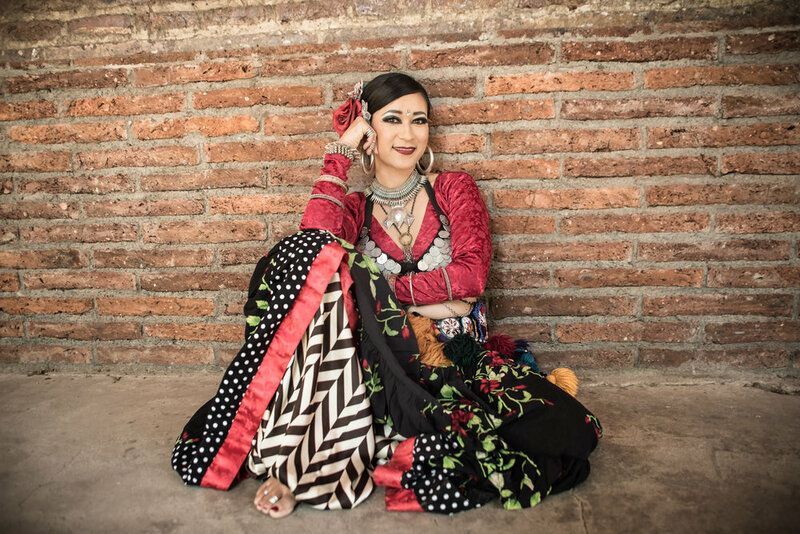 Since 2000 when I was first introduced to bellydancing, I’ve been hooked and learned as much as I could through videos and DVDs while still living in Japan. Although I would consider myself an excellent student, I eventually needed to learn from the masters. So in 2007 I packed my dreams, determination and a bit of belongings into two suit cases and moved to San Francisco Bay Area, the mecca of Tribal Bellydance to study with the luminaries of this art form. Subsequently, I have taught and performed all over the US and in over 20 different countries. You can see some of my local and international performances on YouTube. Now I live in East Palo Alto where I perform locally and teach in local gyms and out of my lovely home studio. One of the greatest gifts dance affords all of us is a chance to connect. I love turning a room full of spectators into participants. I love sharing my passion with my hardworking students and seeing them not only improve their dance techniques but also gain confidence and a growing love for the dance. Going forward I will continue sharing my passion and continue connecting with the local community through events, classes, and performances.